If you hadn’t heard, one of Sweden’s most popular funny animals came to European movie screens in 2014. “Sweden’s most popular comic book character – the bear Bamse – now gets his first feature film. 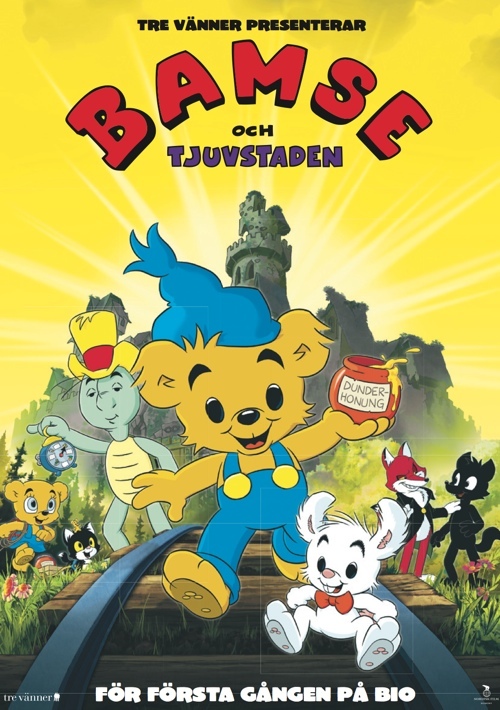 In Bamse Och Tjuvstaden (Bamse and the City of Thieves) the strongest bear in the world and his two friends Little Hopp and Shellman show that the best weapon against evil is -friendship (and a few drops of Grandma’s Thunder Honey of course).” After a popular animated TV series and several TV movies you can check out the feature film’s trailer over on YouTube. As usual, of course, there’s little chance we’ll be able to see this stuff anytime soon in North America — at least not translated! image c. 2015 Tre Vanner Prod.